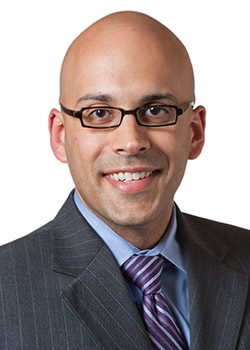 Karl Bilimoria, MD, ’08 MS, ’10 GME, the John Benjamin Murphy Professor of Surgery and director of the Northwestern Surgical Outcomes and Quality Improvement Center, was the lead author of the paper, published in JAMA Internal Medicine. Veterans Affairs hospitals outperformed civilian hospitals on most measures of quality and patient safety, but scored lower when it came to patient experience, according to Northwestern Medicine research published in JAMA Internal Medicine. Although there have been concerns about quality of care at Veterans Affairs (VA) hospitals, comparisons of quality between VA and non-VA hospitals had previously been limited by a lack of available data. The current study, the first of its kind, analyzed VA hospital performance data only recently made available by the Centers for Medicare and Medicaid. The current study compared data between 129 VA hospitals and 4,010 non-VA hospitals, collected between July 2012 and March 2015, looking at 17 outcome measures — such as mortality, readmissions and patient safety indicators — as well as ten measures of patient experience and nine of behavioral health. The investigators found that VA hospitals performed better on six out of the nine patient safety indicators, compared to civilian hospitals, with no significant differences in the other three indicators. VA hospitals also showed better outcomes on measures of mortality and readmissions. Still, the authors caution that although the data is the most comprehensive to date, concerns remain about data quality. The study also found that VA hospitals scored worse on measures of patient experience — such as physician and nursing communication, noise levels and pain management — as well as measures of behavioral health. Patients at VA hospitals were also less likely to recommend the hospital to others. Bilimoria is also a member of the Robert H. Lurie Comprehensive Cancer Center of Northwestern University. Eddie Blay Jr., MD, a postdoctoral fellow and graduate student in the Health Services and Outcomes Research program, was the first author of the paper. John Oliver DeLancey, MD, MPH and D. Brock Hewitt, MD, MPH, both postdoctoral fellows at SOQIC, and Jeanette Chung, PhD, research assistant professor of Surgery in the Division of Surgical Oncology, were also co-authors. The research was supported by the National Institutes of Health grant T32HL094293. Bilimoria has received support from the National Institutes of Health, Agency for Healthcare Research and Quality, American Board of Surgery, American College of Surgeons, Accreditation Council for Graduate Medical Education, Health Care Services Corporation, Mallinkrodt, Northwestern University Robert H. Lurie Comprehensive Cancer Center, Northwestern Memorial Foundation and Northwestern Memorial Hospital.